Our first priority is always your safety which is why all of our guides are all highly trained in avalanche risk management, backcountry travel, and first aid. Our guides are involved in ongoing professional training and maintain certifications with their respective associations. Safety always comes first but it is important to remember that there does exist inherent risks in backcountry travel meaning that anytime we leave the ski area boundary, we require all of our clients to be equipped with a full kit of avalanche safety equipment (transceiver, shovel, & probe) and ask that any instructions given by our guides are explicitly followed to mitigate risk and ensure an epic powder day. Each of our guides brings something a little different to the crew but one thing is for sure, they all share a passion for the mountains and and have an intimate knowledge of Hokkaido’s best powder lines. We meet daily to discuss current conditions at each area, monitor the weather, and adjust the schedule to make sure you are headed to the best snow each and every day. Chris worked and skied the backcountry on 4 continents before finding Japow. Now that he‘s been here for 4 seasons, and become a Nikka Whiskey aficionado we are pretty sure he’s a lifer. Springtime will find him guiding heliskiing in Alaska but we can’t fault him for that. Having been paid to drop couloirs in Italy, swim with whale sharks in Australia, descend deep into glaciers, toss bombs and whisper to grizzly bears in Alaska, Chris has amassed many certifications and skills. This will be his 5th season with HBC. Peter’s enthusiastic passion for backcountry skiing is contagious. Through efficiency of motion and utilizing the right technique at the right time, he maximizes the skiing experience. His ski guiding career began over 35 years ago in the Sierra Nevada. 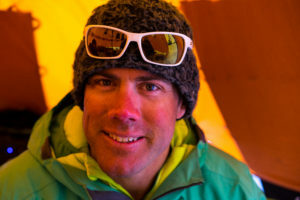 He is a AMGA certified ski mountaineering guide and a member of the AMGA instructor team, AIARE Level 2 avalanche course leader, and PSIA Level 3 ski instructor. 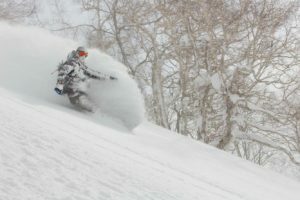 He can be found ski guiding powder in Japan mid winter, corn skiing in the Sierra in the spring or training ski guides and military personnel through out north America. Come Join him on a ski adventure. This will be Peter’s sixth season working with BDT and we’re excited to have him back for round 6. As someone who was born and raised around the waters and mountains of Alaska, Sandy grew an appreciation and passion for adventure in the outdoors that has led him on world travels, countless days in the mountains, and eventually a career in heli skiing and avalanche forecasting. 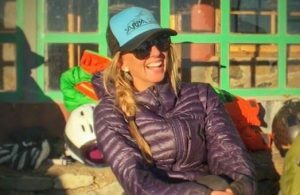 Sandy has worked at Alaska Powder Descents as a heli ski guide for the past 5 seasons and has been one of the lead instructors of the Mountain Savvy progam at Eaglecrest ski area. This will be his 5th season with HBC. A native of Juneau, AK, Dawn‘s love for mountain sports has carried her across the U.S., through Canada, and finally to her favorite mountains here in Hokkaido. 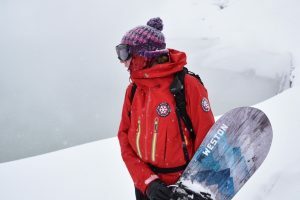 A professional snowboard guide for over a decade, she earned certifications in both the U.S. and Canada. On a winter day, you will find Dawn on the snow; touring for fresh tracks, riding secret stashes in the trees, ski patrolling at Eaglecrest, or leading a group of heli-skiers. She wouldn’t have it any other way. This will be Dawn’s fourth season guiding at HBC. Brian is originally from New Jersey and has been working in the ski industry for 8 years. Brian got his start guiding 24 day ski mountaineering courses in Alaska, before moving down to Utah to work as a full time Ski Patroller/Cat guide out of Snowbird. In the summers Brian works out of Alaska and Washington, guiding Denali as well as the volcanos of the Pacific Northwest. When Brian is not working, he is out looking for new ski lines or climbing. This will be Brians’s fourth season guiding at HBC. Brian Campbell grew up in Park City, Utah skiing and recreating in the outdoors all over the Western United States. In 2006 he moved to Oregon where he attended school studying Literature, Philosophy and Outdoor Adventure Leadership. While living in Oregon he became passionate about climbing and backcountry skiing. In 2008 Brian began his guiding career as a whitewater guide. Now Brian guides climbing and skiing full time and year round. 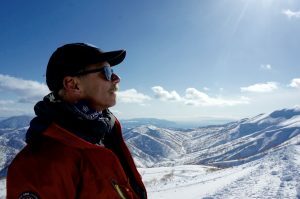 He has worked in many locations throughout the western United States, and recently started guiding skiing in Hokkaido, Japan. 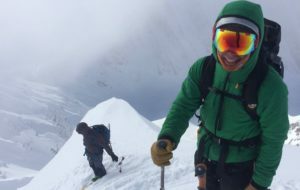 He has a personal resume including ski descents in many different ranges in the western United States, British Columbia, Alaska, and Europe; as well as rock and alpine climbing ascents in many locations around the Western United States. In his free time Brian can usually be found climbing and skiing, visiting friends and family, or traveling around the world.This will be Brians’s third season guiding at HBC. If you are looking for a split boarding mountain guide, Jules is your man. He has been guiding for 10 years and spends his winters in Tahoe and summers in the Pacific North West and Alaska. He is one of only a few splitboarders who has become certified with the AMGA as a Ski guide. Whether it’s a ski day or time to board, Jules enjoys the rewards that the backcountry experience provides. He is an AIARE 1 course leader and has logged many adventures in mountains up and down the west coast learning about the avalanche phenomena. In addition to guiding, Jules has worked as a climbing ranger at Mt Rainer and as a mountaineer for the US Antarctic Program and has many stories to tell from his time on Search and Rescue in those locales. This will be his fourth season in Japan. Will grew up skiing with his four older brothers in Colorado and he was immediately mesmerized with the mountains. 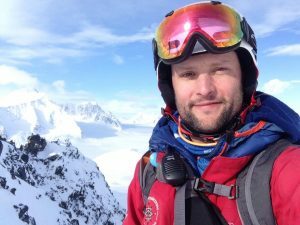 His passion for skiing has led him to an exciting career of ski patrolling, avalanche forecasting, and guiding. Will has spent the last 10 years of endless winters in New Zealand, Montana, Chile, and Svalbard. He continues his search for deep snow heli-guiding for Alaska Rendezvous Lodge and now in Japan. When Will is not skiing, you will find him hanging out with family and friends, rafting in the desert, mountain biking, or enjoying a strong IPA. This will be Will’s second season guiding at HBC. American Avalanche Institute Level 3. Mattias was born to Japanese and Swedish parents. Growing up in a few different countries and educated in English, he is as multicultural as one can be. Mattias‘ days outdoors began before he could even walk. He has been skiing, hiking and camping for as long as he can remember and this will be his 5th season working with us. Mattias considers Japan’s mountains to be its greatest treasure and he cannot wait to share good times with you in Hokkaido! Junichi moved to Hokkaido a few years ago from the main island. 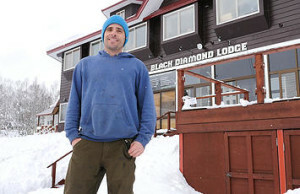 Working originally as a snowboard instructor at NOASC, he has made a shift to guiding last season with Black Diamond Tours. During the summer season, you can see Junichi helping out local farms in the town of Makkari.  This will be Junichi’s fourth season guiding at HBC. Phil comes from the UK and has been living in Japan for five years. In the summers, Phil is guiding rafting and canyoning tours down in Honshu then flies back to Hokkaido for the powder in the winter. This will be his 4th winter working with us. Sam is another heli guide from Alaska that got hooked on winters in Japan. 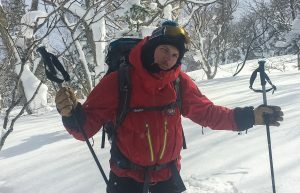 This will be Sam’s fourth year exploring the mountains of Japan, and he’s excited to ride more deep Hokkaido powder with clients. 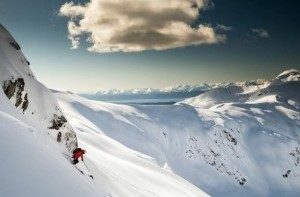 In the spring, Sam will be guiding for Alaska Powder Descents. Kyle grew up in Australia and as a carpenter, but his real passion is the mountains and being in the outdoors. 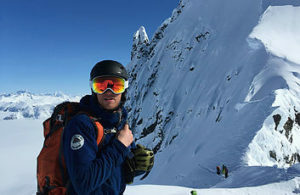 He chases the snow and has done his Avalanche level 1 in New Zealand and has lived in Austria for two years in the Alps where he worked as an instructor and practiced his skills in the backcountry splitboarding. This will be his fourth season in Hokkiado and he can’t wait to show you the real "Japow". Born and raised in Southern Colorado potato country Erin has always had a love for high rocky places and deep cold snow. Chasing summits and patching blisters throughout the western United States, Denali, the Chilean Andes and now Japan. 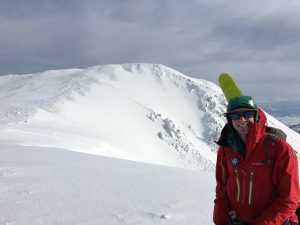 She‘s working towards AMGA ski guide certification and eventually IFMGA certification, which means most of her time off is spent climbing a new pitch on rock or ice. When she isn’t in the mountains she can usually be found perfecting her thai curry, visiting one of her four siblings, or napping in the shade with her sweet dog Willie. This will be Erin’s 3rd season guiding at HBC. 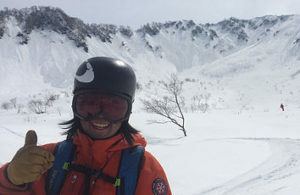 Since first introduced to skiing in Nagano as a child growing up in Kyoto, Yoshiko has learned to appreciate couloirs, ski mountaineering and chasing powder with friends after three seasons living in Chamonix having graduated from college in the UK. 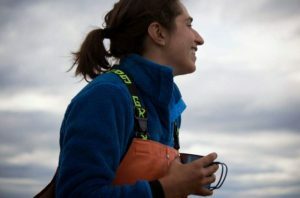 She has been guiding since 2010 including 4 seasons in Hokkaido, under the the midnight sun in Antarctica, and in the Ruby Mountains in Nevada. Summers are spent mostly guiding Denali expeditions and volcanos & alpine rock in the North Cascades. When not guiding, Yoshiko loves climbing & skiing closer to home in Lake Tahoe and the Eastern Sierra or volunteering with an adaptive horse riding center. 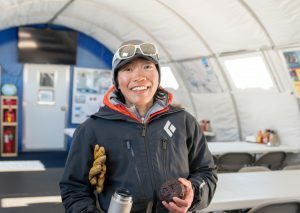 Yoshiko is working towards her full IFMGA certification. Yet another Alaskan finds their way to Japan! Marissa was born and raised Juneau, Alaska, and grew up fishing and playing in the mountains. She managed to find herself a ski guide husband who introduced her to the wonders of Japan’s epic pow, its incredible food, and kind people. She loves sharing the stoke with clients! Shin is a Tokyo native, originally from Australia by way of Kelowna, BC, Canada. He‘s a fluent Japanese speaker with the best Canadian accent you’ve ever heard. 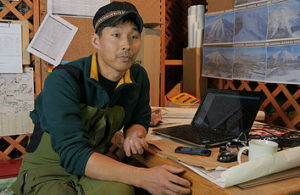 When not splitboarding, you can find Shin taking reservations and working with guests at HBC. Shin is a grad from the University of British Columbia Okanagan. OFA Level 3 (80hrs) certification. 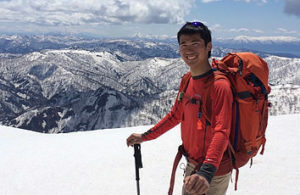 Makoto hails from the island of Honshu, where he previously worked as a CIC (Commission Internationale de Canyon) canyoneering guide and swiftwater rescue technician in the Hakuba area. Makoto has more than 18 years of experience in guiding, and recently started the not-for-profit Helicopter Air Rescue Unit (HARU). Clayton grew up skiing and snowboarding on the river banks of Edmonton, Alberta and the Rocky Mountain resorts of Jasper and Banff. Working at the local ski hill from the age of 15, he knew he wanted to be part of the ski and snowboard industry for the rest of his life. In 1996, Clayton had the opportunity to visit Japan for the summer. After seeing firsthand the incredible popularity of snowboarding, his original plan was to bring Japanese snowboarders to Canada for multiple resort tours and backcountry experiences. With very little Japanese ability, no money, and no connections, he failed big time! 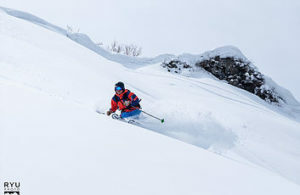 After studying Japanese and graduating with a degree in international business from the Universty of Alberta, he headed back to Japan in 1998 to make those connections, and immediately fell in love with the food, culture, and ridiculously deep powder. 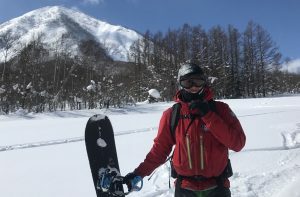 While teaching English and gaining a foothold in Japan, Clayton finally had an opportunity to put his 7 years of exploring the resorts and mountains of Hokkaido to use. The rest is history!